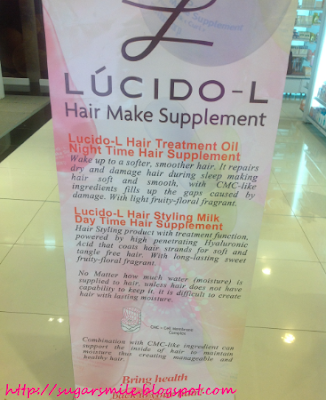 The new Hair Make supplement Lucido-L takes centerstage. 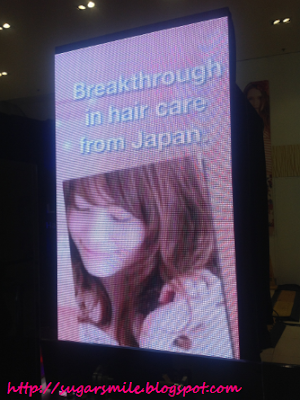 Used by top hairstylists of Japan and Singapore, it is now available in the Philippines to give you a soft, manageable, beautiful hair, less of the hassles or even reverse effects brought about by other hair treatment products. Launched last March 22, Mr. Hirotsogu Ohashi, General Manager for Mandom Philippines Corporation, explains that “the main reasons why we get split ends and when our curls fall flat is due to lack of moisture in our hair.” And as an answer to that dilemma, Lucido-L provides long lasting moisturizing treatment by restoring your hair’s natural moisture retaining system. Lucido-L has so many variants you can use, for specific hair types. The Lucido-L Hair Treatment Oil is recommended for permed hair, retaining a soft, bouncy look. The Lucido-L Hair styling Milk is for girls with straight hair who want pretty, tamed hair all day long, and this is something I could use everyday. Lucido-L Hair Treatment Oil repairs dry and damage hair during sleep, making hair soft, smooth, with CMC-like ingredients filling up the gaps caused by damage. Lucido-L Hair Styling Milk is powered by high penetrating Hyaluronic Acid that coats hair strands, keeping it soft, tangle-free. 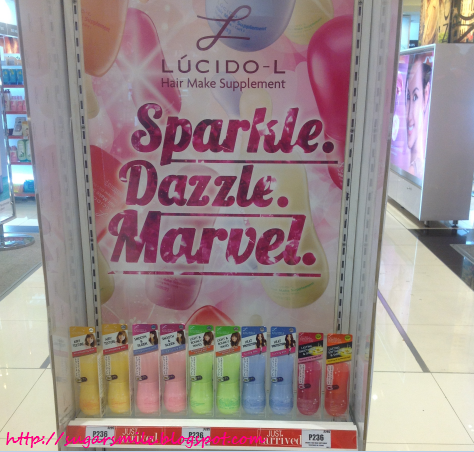 Lucido-L products has light, fruity-floral fragrance. 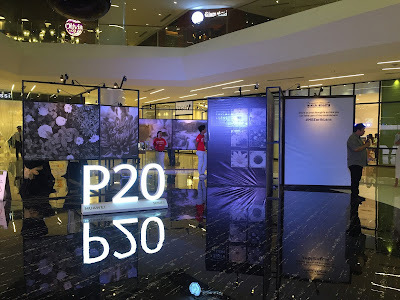 Mandom Philippines Corporation is a production partnership of Mandom Corporation, an Osaka-based manufacturer and distributor of hair care, skin care, perfumes and deodorants, and other personal care products, including cosmetics. Lucido-L products are exclusively available at all Watsons outlets.